I’ve done some test prints for someone in the jewel industry. They wanted to see the Form1 quality output to maybe use it as a quick prototyping desktop station and get faster development cycles. 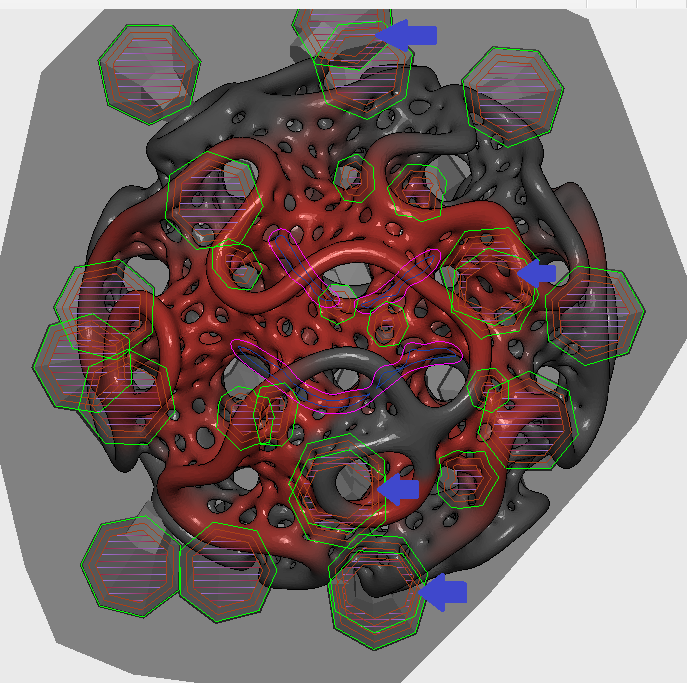 We discovered that in some conditions JewelCAD is only capable of exporting to STL the positive geometries OR the negative geometries (holes / notch) but not the fused triangle mesh. 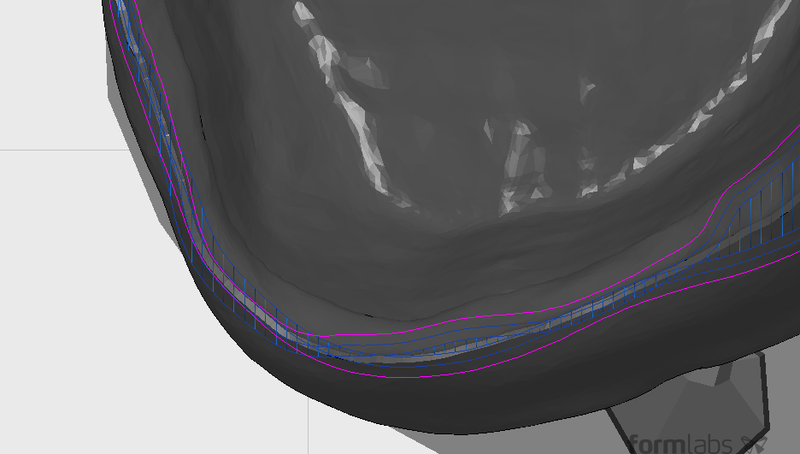 The only way to merge both negative and positive geometry is apparently to slice the object and export it as SLC file. This file format was created in 1994 by 3D systems and is now at the second revision. The evolution was mainly to store the data as binary to save space but the content of the file was not changed much. Preform is unfortunately not capable of reading SLC files nor importing positive and negative bodies to form a finite model. That’s another instance where it would be handy to have the Printer protocol open or at least an API to build our own slicer for the Form1. The first option can be done using the free software Blender (see this video tutorial for example). Boolean operations on complex triangles mesh are some time not possible to apply. It’s especially true if the original geometries are not completely clean (holes / inverted triangles…). 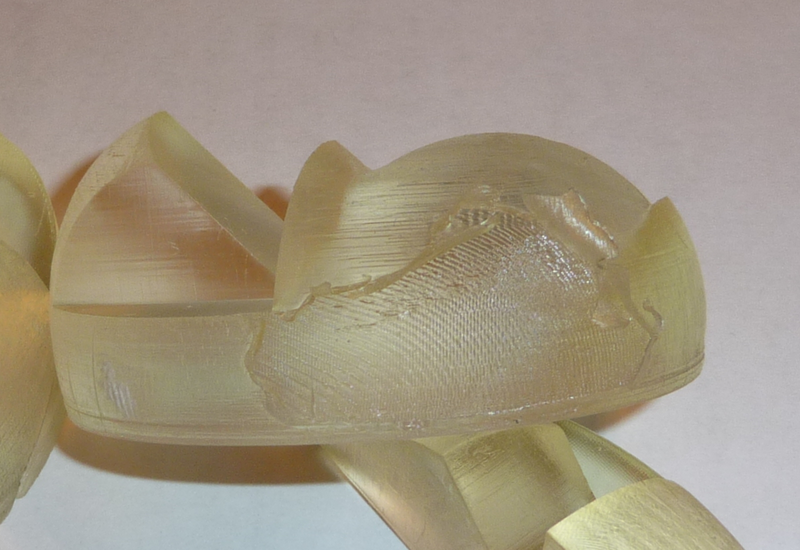 In the case of my test print, Blender and Netfabb were not able to apply the subtraction. 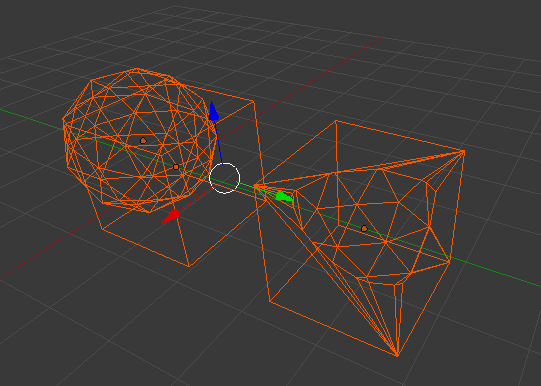 The picture under is showing that even in a very simple case, subtracting a sphere from a cube in Blender creates a lot of extra triangles. The whole difficulty is to generate precisely the cut/intersection line as explained in this paper by Biermann and Al. 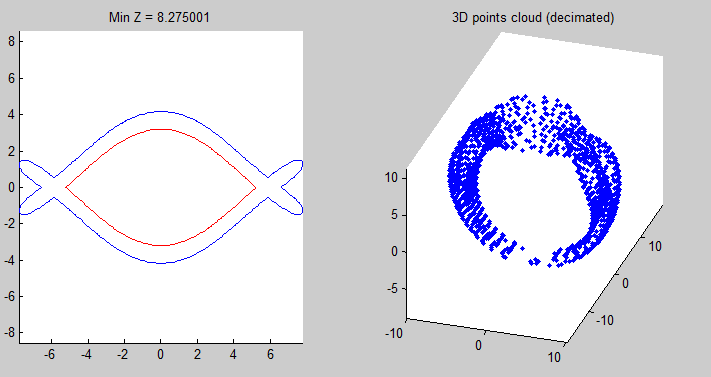 So if the Boolean operation is not possible, we can only regenerate the STL triangles from the SLC data. Provided the original geometry slice thickness was at least the desired print configuration, it should not affect the output quality. Commercial software like SLC2STL or Netfabb seems to be able to perform the conversion but the licenses are expensive for a casual usage (in the $k range). As the triangle geometry is an interesting algorithm development, I have no option but add it to my TODO list! The first step of this un-slicer is of course to read the SLC data. The SLC format is a simple collection of slices composed of a collection of boundaries. You can read the format specification [here]. 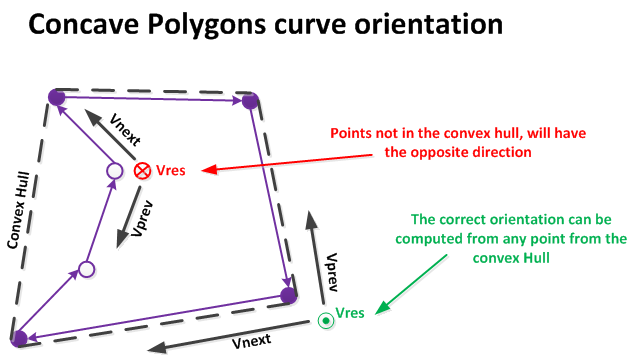 Each boundary is a closed polygon (poly-line) defined by a series of [X,Y] vertices with the first point duplicated at the end to close the loop. I’ve built an viewer in Matlab to explore the content of SLC v2 files. The archive contains 2 example ring slices SLC file. After extracting all the information, the viewer displays a 2 plot window were the user can click on any point in the 3D plot on the right to display the full slice on the left pane. This entry was posted in 3D printer, 3D printing, Form1 printer, Matlab, Slicer, STL files and tagged 3d printer, 3d printing, 3d systems, anti-slicer, boolean operation, form1, geometry, jewelcad, SLC files, SLC to STL, stl files on September 8, 2013 by damienideas. I’m confident they will find a solution, but I started to wonder how a user could calibrate his printer himself. This is important as the warranty on the printer is only valid for 3 months and as any mechanical machine, I’m expecting the printer will require some calibration from time to time. Last but not least, this will be only possible if Formalbs is actually giving us access to more parameters than the currently closed/dumb down version of PreForm we have (Hint! Hint!). 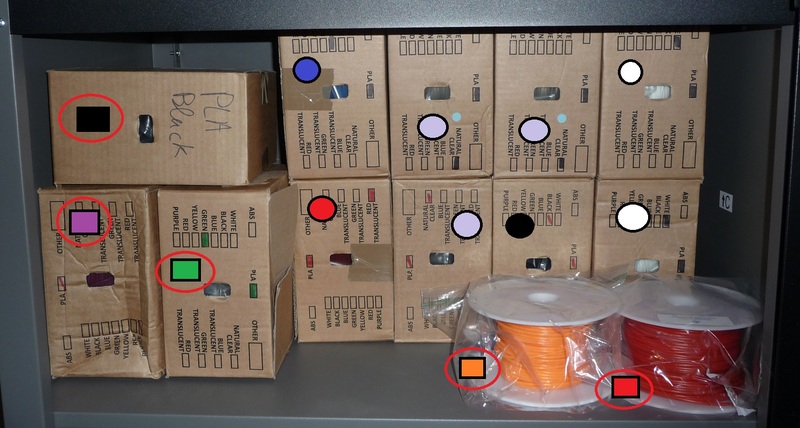 Simple steps: if possible it should be as simple as print test objects, measure them, compute the corrective factors (Excel Spreadsheet/integrated to PreForm), enter the new parameters and re-print the test objects to validate the calibration. My main assumption for this exercise is that the calibration required is only affecting linear parameters. I will not go into galvanometer fine tuning. We will see at the end of the article that unfortunately non-linearity are present and will limit your end result quality. The main challenge with laser base printer is that it’s difficult to measure precisely the position of a moving dot at the bottom of the vat (absolute measurements). So one solution is to do relative measurements of printed object features. We will use a digital caliper to get a good number of data points to build a robust average estimation of the calibration. In the graph under, you can see that the laser spot is covering each each slices of the object using two kind of paths. The perimeter/skin-paths are tracing the outline of the object, they will be responsible for the smooth finish. The In-fill paths are straight and parallel paths to cure the inside of each slice. Using simple shapes like circles and square will let us measure independently the performances of both X and Y axis galvanometers. The final dimension of the Slice is affected by both the axis amplification (deflection angle range) and the size/shape of the laser spot. When tracing the measures VS the theory graphs, the amplification correction is measured by the slope of the curve, while the shape of the laser spot is creating a constant offset. To know where each object was printed on the platform, I’ve added a number engraved. That could be useful later if we are tracking non linearity issue depending on the location of the objects. I’ve used the 5 duplications file as it’s already providing 100 measure points. The base of the object is 3mm thick as I was hoping I could print it without supports to save time and resin. It turn out the Form1 is curing multiple times the slices in the first 2mm for the base. It creates an adhesion issue for the next layers, and I ended up with unusable objects with holes so I’m now generating support structures. The full spreadsheets with regression formulas are here [0.8.1] and [0.8.2]. From the regressions results we can see that the calibration required is consistent in both PreForm version. My printer has a 1.4% error in X axis and 0.35% error in Y. The laser spot diameter is also off by 0.2 mm. Ain’t you doing anything about outliers? When doing a root cause analysis on anything, you have to solve the first order issues that are dominating your calibration errors before looking at the rest. My Form1 is displaying non linearity on the X axis on geometries close to the back of the platform (2 = back-right and 5 = back-left). When you look at the measures table, both objects are very different from the rest. I have no explanation yet for that phenomenon, but I hope that once I will be able to correct the offset and scale in PreForm I can build a new test to tackle this issue. Until then, if you have a Form1 I would be glad to ear if your printer has the same calibration issue as mine. More reports will help Formlabs building a great printer! This entry was posted in 3D printer, 3D printing, form files, Form1 printer, Mistakes and lesson learned, Stereolithography, STL files and tagged 3d printer, 3d printing, calibration, form 1, form files, form1, galvo, laser, preform, stl files on July 12, 2013 by damienideas. 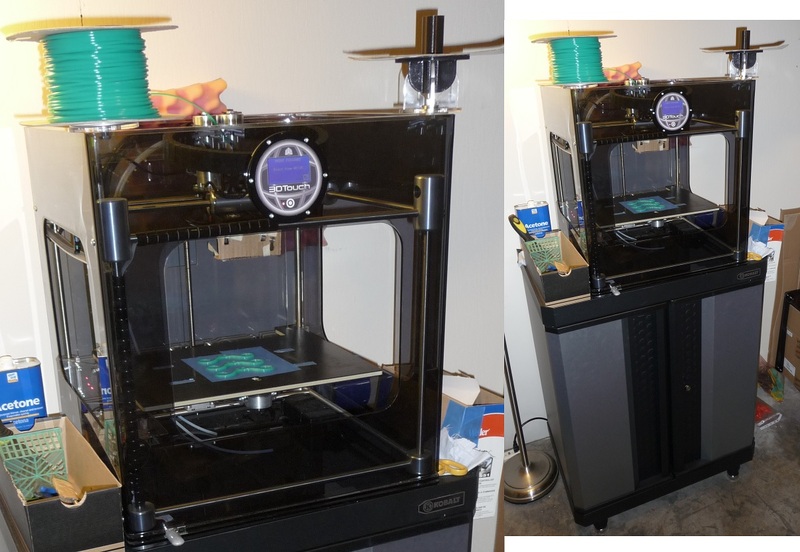 What you will get is the full package with everything to print and a lot’s of filament (~22kg / ~$900 of filament). I would rather do a local sell (I’m south SF Bay) than prepare a shipment, it’s heavy! If you come to pick-up, I’ll give you a training session of an hour to learn how to prepare your model with Kisslicer, load the filament and print. I’ll publish this on Craig’s list in a few days, so my blog readers have some early notice! You can get the sturdy metal cabinet under for $180 (from Lowe’s store, only if pickup, I’m not sending it), it’s pretty handy to store everything. Note: on open spools the remaining weight are only evaluation, I’ve been conservative so you’ll get more filament! I kept my PLA spools on plastic bags after opening. 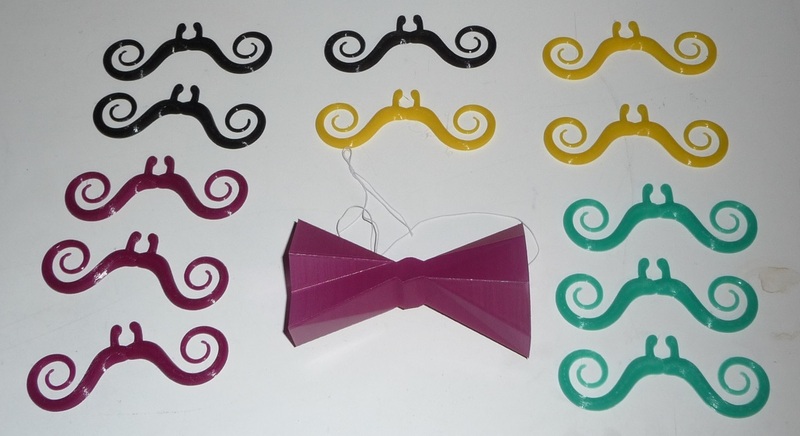 For a friend wedding this was my last print, mustache for everyone and bow-tie for the groom! The 3D touch is sturdy and super reliable printer! This entry was posted in 3D printer, 3D printing, 3D Touch printer, Uncategorized and tagged 3d printer, 3D printer for sale, 3d printing, 3d touch, 3mm filament, ABS, FDM machine for sale, filament, PLA on June 28, 2013 by damienideas. July 12th edit : I have now a Form1 Calibration procedure. These past few days some very nice Form 1 tests have been publish by TJ and Gregg. These tests have been concentrating on the shape and small features. 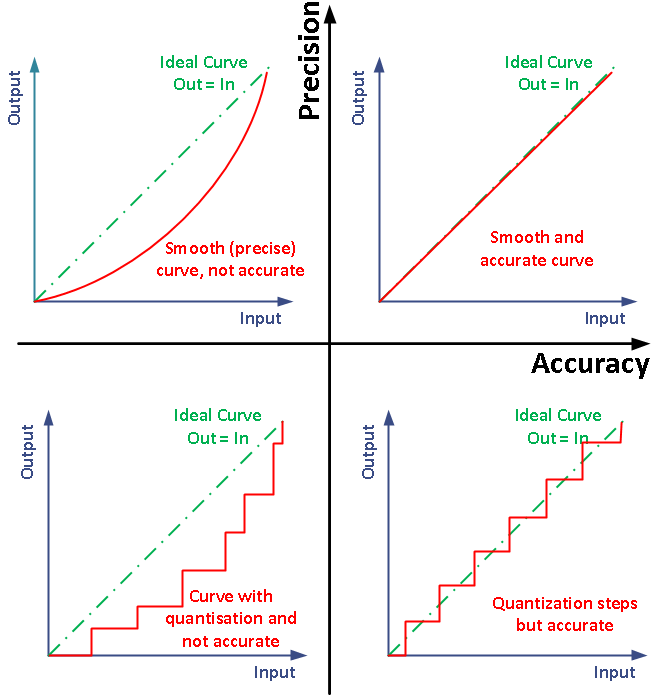 I’ve not yet seen a test on accuracy / linearity. The Form1 is supposed to have a 300 microns (0.3mm) diameter laser spot which limits the size of individual features but the galvanometers (galvos) can be oriented very precisely. I think I recall reading that someone in Formlabs was talking about a few micron of positioning accuracy (position of the center of the spot on the bottom of the vat). The galvos are a dynamic system using PID controllers and tuning them to get a perfect positioning takes time (see my post on the ILD test cases). Recently I had to print a mechanical assembly for someone and even with the 300 microns tolerance, it was difficult to slide the cylinder into the tube. So I decided to investigate a bit more: I was also wondering if the peeling was not introducing some deformation in the piece. The test I designed is simple: It’s a series of 20mm cylinders that are horizontal/vertical and with a 45 degrees angle. The piece is placed perpendicular to the platform to measure independently the X and Y galvo. As any mechanical system, the mirrors are not jumping from one location to the next instantly. So even if the calibration is perfect in static condition (after some resting time), the dynamic properties (damping and oscillations) might be off. These configurations are also axis dependent as the mirrors might have a different shape/mass and each axis has his own amplifier. In the ILDA test, this dynamic behavior is checked with the circle inside the square. And the results are not as expected… As you can see the cylinders are not really round! So either the preform sampling space is too large (not enough points on the path / movement too fast) or my ‘peel’ axis amplifier board needs some adjustment. So conclusion while the Z (thickness) and Y (orthogonal to peel) axis seems to be close, my printer seems to have an issue on the third dimension. I hope Formlabs will have a calibration procedure to correct this issue. The other main issue I’ve encountered while printing technical piece was reliability of the print quality. In some occasions the peel process is making loud “clacks” noise when the surface to remove is large. As the tilt is starting from one side, the strength created on the prints is different depending where the geometry is placed on the base. 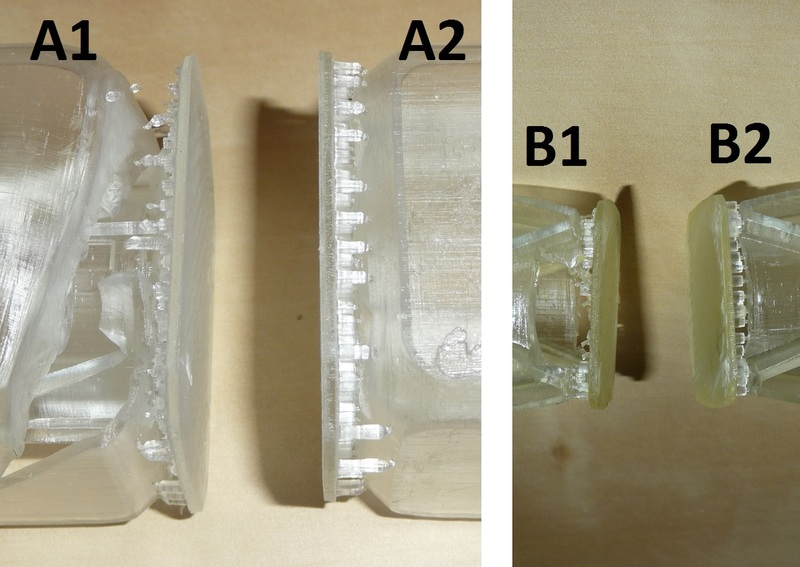 The picture under is showing two pieces that I had to reprint twice to get an acceptable result. The peel strength issue triggers supports break and non printed/delaninated walls. Anyway I’ll keep on exploring the Form1, if you have any question please ask I’ll make more tests. Cheers! 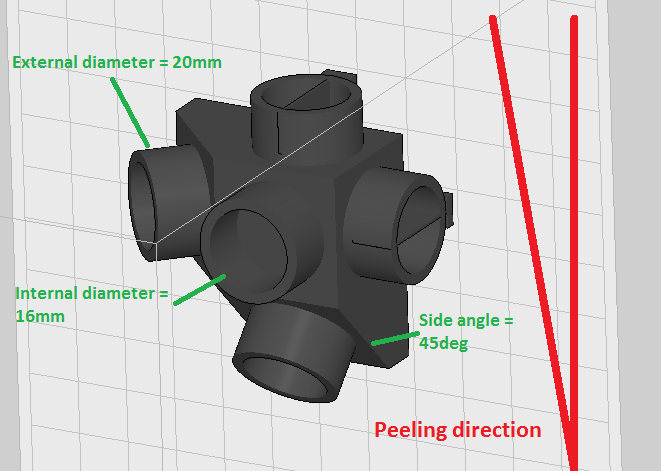 This entry was posted in 3D printer, 3D printing, Form1 printer, galvo / laser scanner, Mistakes and lesson learned and tagged 3d printer, 3d printing, bugs, form1, galvo, laser, linearity, not cured, preform on June 27, 2013 by damienideas. I’ve chosen the impossible heart brain teaser available in Thingiverse to see how very simple and smooth pieces would print… First it was not a brilliant idea to print it without supports. I had to use a clamp to pry apart the pieces from the platform and in the process damaged a bit the puzzle surface. 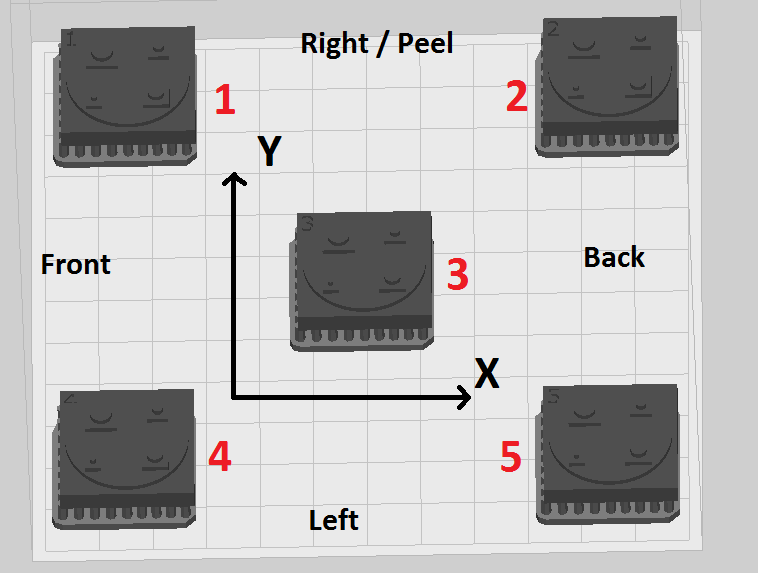 If I was Formlabs, I would try to extend the filling paths so that it overlap at least the last perimeter to make sure everything is correctly glued together. This point a a bit a hit or miss. I’ve followed the advice in the community forum that using the “grey 25 microns” material profile was increasing the chance of sticking and so far I had 2 out of 3 prints working. The sticking might be affected by the location of the print on the plate and the orientation of the base platform. If you have a long platform, turn it so that the peeling starts on a small side. To solve this it would be great to have more control on the laser, like being able to set the speed of the scan, the number of repetitions, the number of perimeters. That would open quite a few possibilities and for the most advanced users it could be a great way to experiment. That’s all for today 🙂 If you have any comment or extra bug to report on this release please comment I’ll investigate them! This entry was posted in 3D printer, 3D printing, Form1 printer, Mistakes and lesson learned and tagged 3d printer, 3d printing, additive manufacturing, brain teaser, bugs, defects, form 1, form1, laser, not cured, preform, puzzle, stereography, stl files, Thingiverse on June 12, 2013 by damienideas.